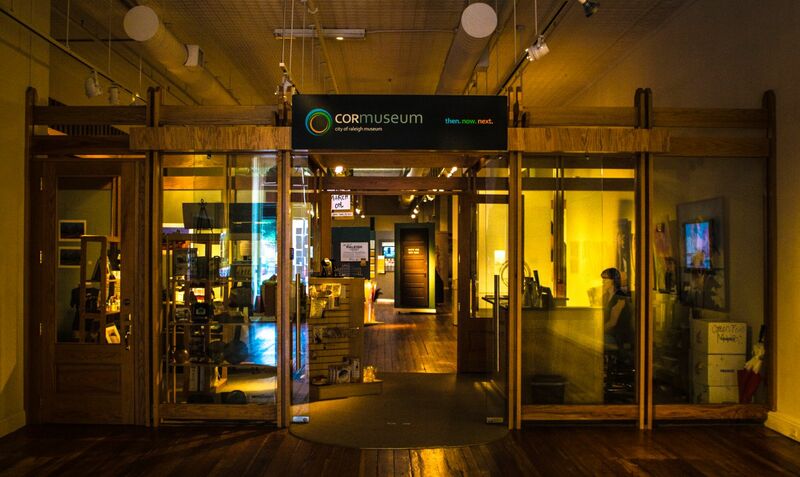 Located in the historic 1874 Briggs Building, the structure retains many of its original features, including the tin ceiling in the museum gallery. The space is small and gives visitors the opportunity to really spend time with each of the exhibits, up close and personal. 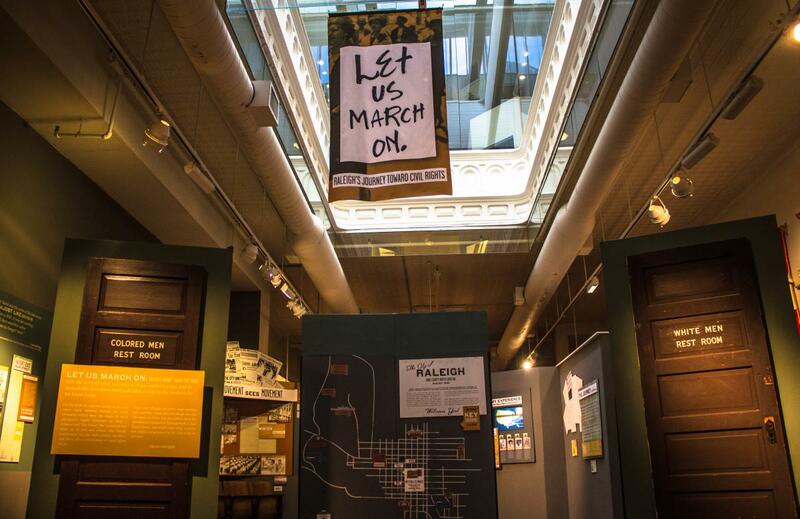 While you’re there you can experience Let Us March On: Journey Towards Civil Rights. 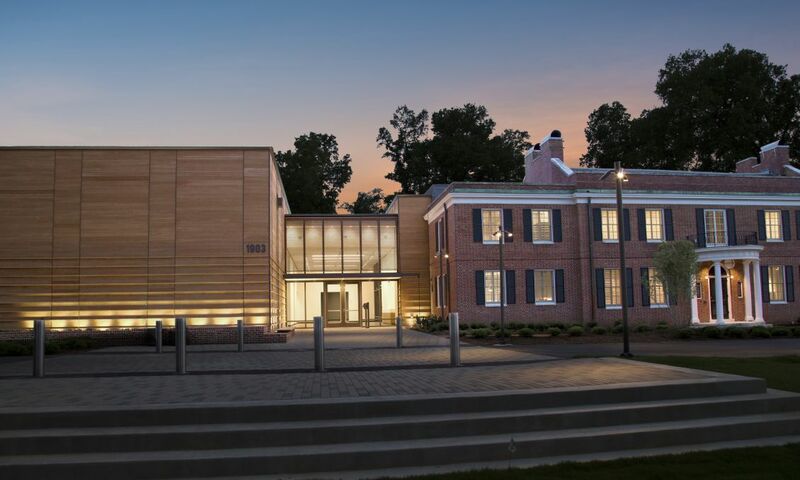 This powerful exhibit explores the period between the mid-1950s to the mid-1970s as Raleigh struggled on its difficult journey towards racial equality along with the rest of the country. Another enlightening exhibit, Our War: Voices of Raleigh’s World War II Veterans, tells the tale of Raleigh residents who went to war and had vastly different experiences in the same conflict. By sharing their stories, these veterans give us a revealing look at what it was like to grow up in &apos;30s/40s Raleigh and leave for war. R3: Raleigh Then, Raleigh Now, Raleigh Next uncovers 200 years of Raleigh’s history with fascinating artifacts and images. 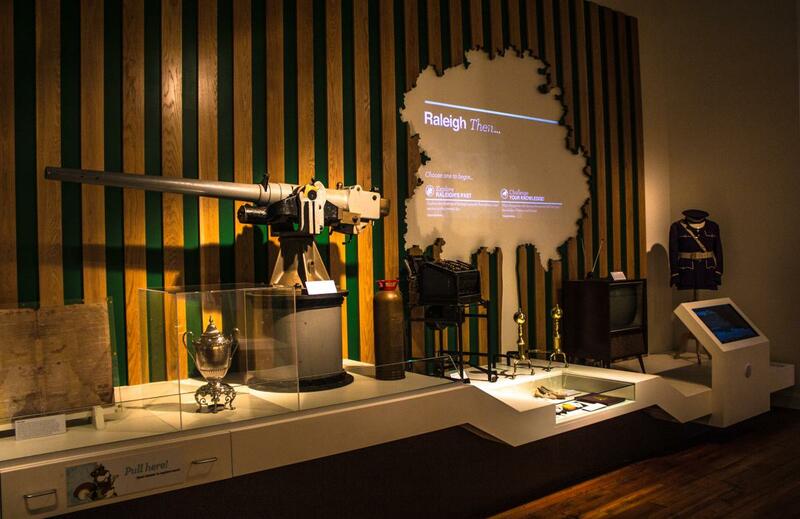 Interactive kiosks provide visitors with a fun and challenging way to explore photographs from Raleigh’s past. Other exhibits are constantly being updated. Topics covered range from local politics to the history of Raleigh maps to the area’s vibrant Indian community. Featured exhibits are constantly being updated. Topics covered range from local politics to the area’s vibrant Indian community to the history of Raleigh&apos;s music scene. 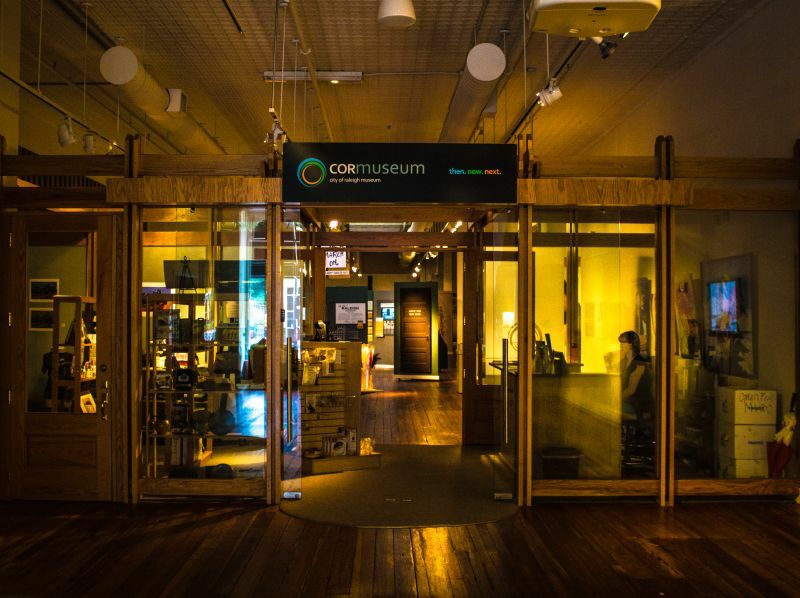 Check out current exhibits, here. 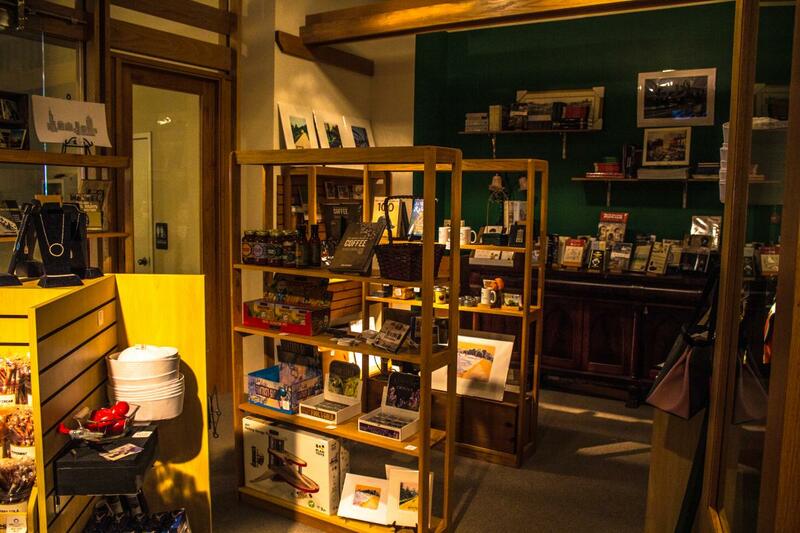 For visitors looking for something uniquely Raleigh to take home, the Museum Store offers a selection of one-of-a-kind Raleigh gifts including items from local artisans. Pick up a mouth-watering piece of Videri Chocolate or a bag of specialty coffee from the Raleigh Coffee Company. 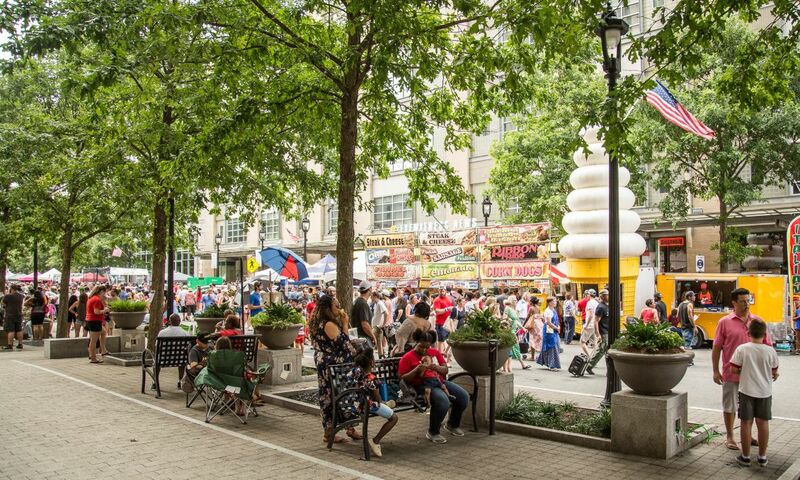 Another favorite is the Fayetteville Street Walking Tour that takes place every Sat. afternoon. 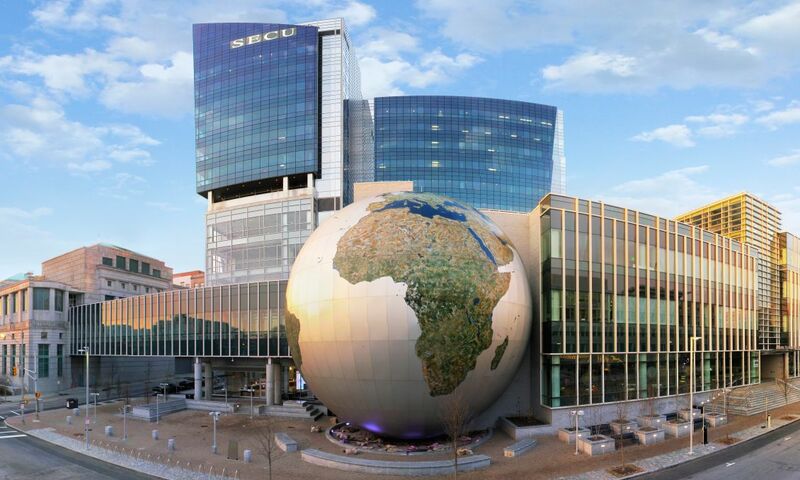 The heart of Raleigh’s history is on “North Carolina’s Main Street,” a half-mile long stretch with a rich and colorful past, whose buildings and stories have helped shape the Raleigh we know today. Admission is free, but you are welcome to place a recommended donation of $5 for adults in the donation box located in the gift shop. 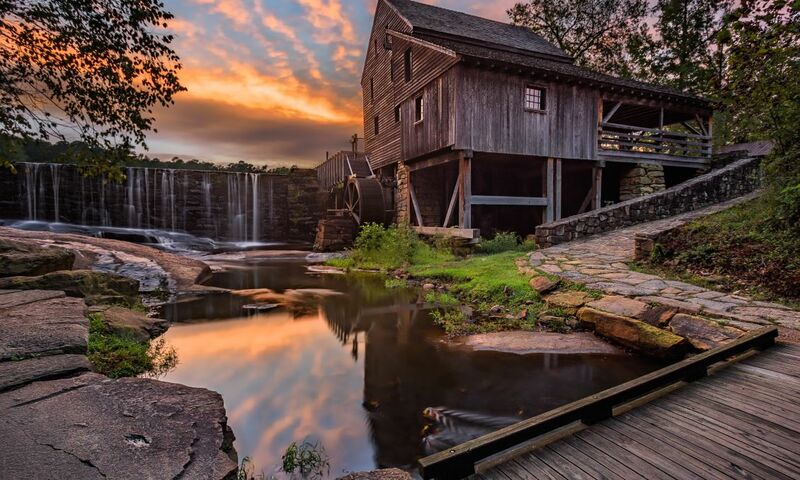 Group tours available with notice.